Review: Hazel, adopted from India as a baby, has a hard enough time feeling like she fits in. When her best friend Jack becomes cold and distant, and then disappears, Hazel becomes determined to get her friend back and thaw his frozen heart. To get back her friend, Hazel must navigate a frozen landscape populated with fairy tale characters and plots. At the same time, she learns to deal with the trials of her everyday life — growing up, her parent’s divorce, and school. 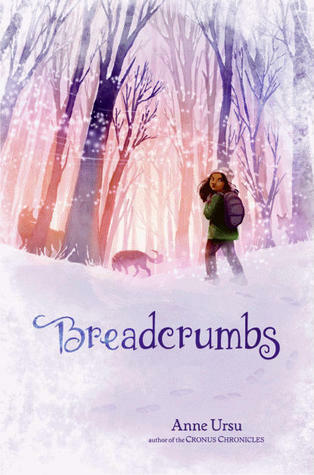 Breadcrumbs combines two of my favorite things — friendship and fairy tales — to create a modern day version of Hans Christian Andersen’s “The Snow Queen.” The language and atmosphere of the book makes it the perfect book to read while curled up with a cup of hot chocolate on a frosty winter day. This middle grade book has something for people of every age group. Recommendation: Buy it now! This book is great for anyone who loves fairy tales and a good story.